'We need about 5% from soldiers, compared to 3% we had nationally. It's possible, but borderline,' says New Right chairman. 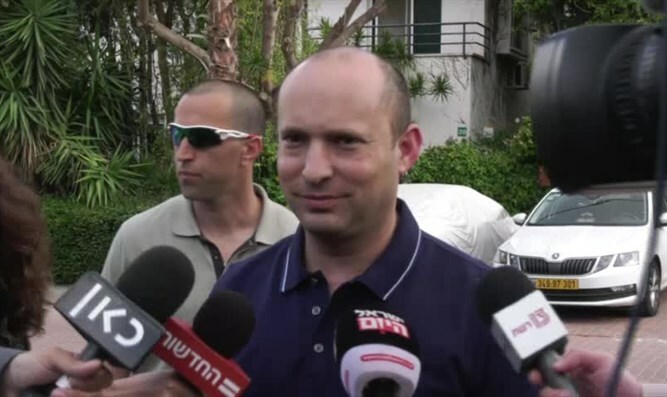 Education Minister Naftali Bennett, chairman of the New Right, is waiting for the soldiers' votes to know whether his party will pass the electoral threshold. "We need about 5 percent of the soldiers' votes, compared to the 3 percent we had nationally. It is possible but borderline. It can succeed or fail on the basis of [only] dozens of votes one way or the other," Bennett said.